Our JR. Flags are engineered to maintain their good looks despite long exposure to wind and sunlight. Improved steadfast colors, thanks to a patented DuPont process. Stronger stitching, including bar-tacked corners and four rows of fly-hem stitching, ensures durability in high winds. Lightweight 400 denier nylon construction makes flags sensitive to even gentle breezes, giving golfers a better determination of wind direction. 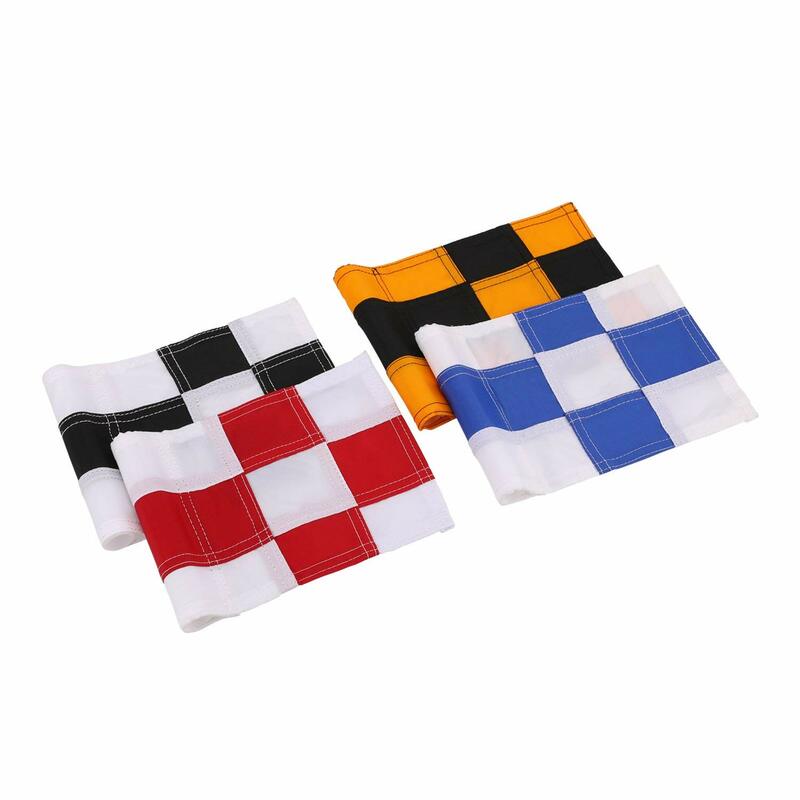 Tube-style and tie-style flags are available. Unlike heavy sailcloth flags, ours minimize premature wear on sticks and cups, and decrease the chance of flagsticks being blown out of cups. Denier which is a unit of measurement that describes the linear mass density of the material, calculated by the mass in grams of a single 9,000 meter strand (reference: one denier is the mass of one 9,000 meter strand of silk). Denier is a good measure of strength and durability when you’re comparing two deniers of the same material. For example, a 200D nylon flag is not as strong as a 400D nylon flag sold by ShopTJB. However, when you’re comparing between different materials (for example, nylon and polyester) all deniers are not equal. Since nylon is a stronger material than polyester, 400D nylon is actually stronger than 600D polyester. Checkered Flags 5 Color combos available. Sensitive to even gentle breezes, giving golfers a better determination of wind direction.